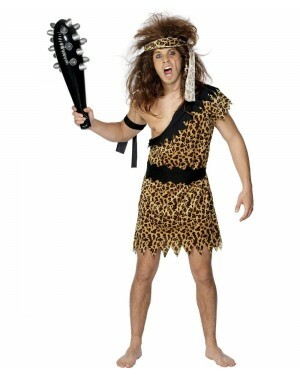 This is one of our favourite themes and we are sure you will understand why when you browse our Caveman and Cavewoman Fancy Dress Costumes. Our range of Cave Costumes include macho animal print Cave Outfits for men and a fun range of Cave Girl Fancy Dress for women – in an array of designs to suit all budgets, sizes and styles! We also have Wilma and Fred Flintstone Costumes if you are looking for a modern twist with this fun theme. Our fun Caveman Fancy Dress embodies the prehistoric look with a range of outfits from the classic cloth tunic to a fun Zulu outfit! 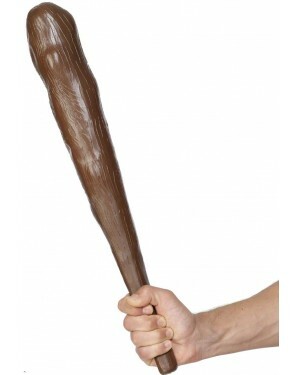 Our Cave Girl Fancy Dress also ranges from the classic tunic to a hot Cavewoman. Or if you are looking for something special, why not take a peek at our Queen of the Caves and matching King of the Caves – also a great couple combination which is sure to make you stand out from the crowd! Not only is this one of our favourite themes because of the costumes, we love the prehistoric Cave accessories – with inflatable Clubs, Bone jewellery and Crazy Hair Wigs! 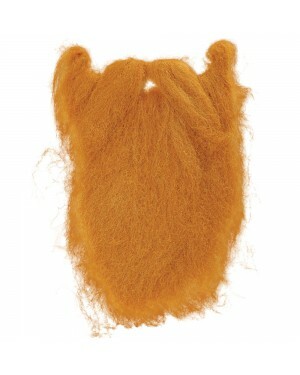 These fun accessories add the perfect finishing touches to our range of Caveman and Cavewoman Fancy Dress Costumes to create your own style.